RUSH: Billy Graham passed away this morning. He was 99 years old, a true warrior for Christ. He ministered untold millions around the world, presidents and anyone in need. His faith was unshakable. Billy Graham was a rock. I never had the chance to meet him, but I know many people who did, and he was apparently a person in whose presence you were rendered in awe, just his presence. And he said something — he said many things. 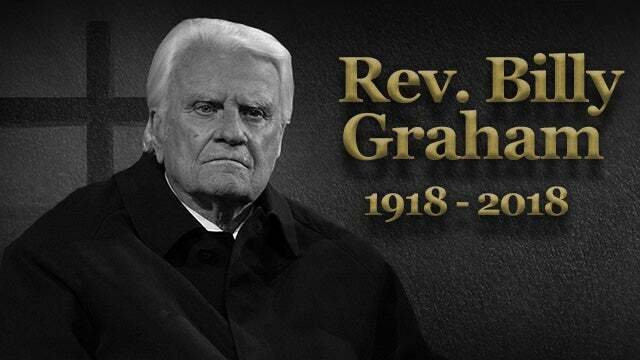 One of the things I would like to remind you that Billy Graham said, this is a quote: “Someday you will read or hear that Billy Graham is dead. Don’t you believe a word of it. I shall be more alive than I am now. I will just have changed my address. I will have gone into the presence of God.” And so he has. Billy Graham has died at age 99.